Thaumic Exploration is a Thaumcraft 4 addon, with the goal of simply adding more balanced Thaumcraft content of the quality you would expect from Azanor himself. 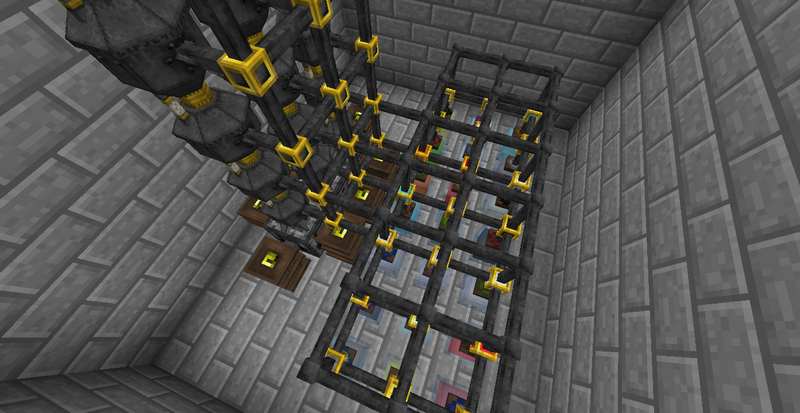 I will try as best I can to make my additions feel like they were part of Thaumcraft 4 itself. Although Thaumic Exploration is still a work in progress, it already boasts a ton of content. You can identify Thaumic Exploration research by looking for the [TX] tag. As this is a WIP, please report bugs! I am open to suggestions. Thaumic Exploration is open-source, and found on github. Thaumic Exploration currently contains six new blocks (two are remakes of Thaumcraft 2 blocks), one new wand rod, three new enchantments, four new usable items, and a few new transmutation recipes. Exact content can be found in the below spoiler. Brain Curing: You have finally found a way to cure zombie brains. They are used in the Think Tank and TC4's advanced golems. 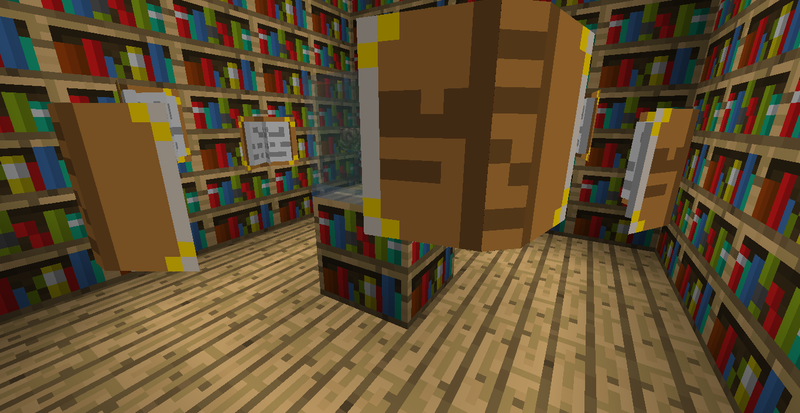 Think Tank: A block that generates research fragments when supplied with books. Everfull Urn: Infinite water source. Use buckets, or cap it off with Buildcraft or Thermal Expansion pipes. Also fills nearby crucibles and puts out burning players. 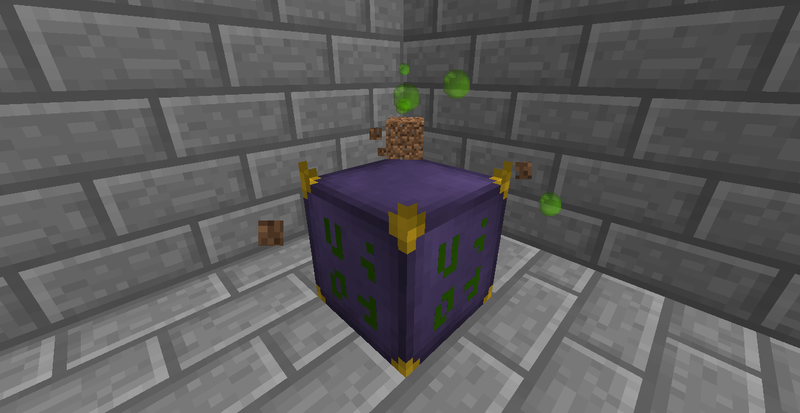 Crucible of Souls: Slowly kills mobs for their precious essentia. Amber Wand Core: A low-capacity, fast refilling wand core, perfect for smaller recipes. There is also a corresponding staff core. Thaumic Replicator: A block that replicates building blocks in exchange for essentia. Boots of the Meteor: Boots that allow you to jump high and deal AoE slam attacks. Boots of the Comet: Boots that allow you to run really, really fast. They also temporarily freeze water. Wispy Dreamcatcher: Anti-taint device that lowers taint damage. Talisman of Nourishment: Stores food and automatically feeds you. Never eat again! Sojourner's Wand Caps: Vis-seeking wand caps that automatically drain nearby nodes. Mechanist's Wand Caps: Wand caps that dramatically increase node draining speed. A great mod spotlight by Danilus, the first part shows the original features in 0.3.0, the second part shows only the new features and changes from 0.4.3. BUGFIX: Fixed the Talisman of Nourishment crashing right away. BUGFIX: Hopefully fixed a crash with seals, reported when loading with Resonant Rise. CHANGE: Made the Talisman of Nourishment use a Primal Charm instead of a diamond. BUGFIX: Talisman of Nourishment does not have durability bar when cheated in. BUGFIX: Clicking on the Wispy Dreamcatcher in the thaumnomicon no longer crashes. IMPORTANT: If using with Thaumic Tinkerer, ensure that you are using build 72 or above. FSP is now being maintained by Nekosune. Why the new download location? It helps me better keep track of download counts and other data. It also lets me keep all downloads in a central location. For those of you who play with Reliquary, try out my new addon, Thaumic Reliquary. Very nice, happy to see this released. I would like to however say could you add the option to remove the [TX] before things so I'm not constantly reminded I have a mod installed so I can lose my self in Thaumaturgy :P.
Also If you need any Ideas I'm a fountain just look at the Witchery Topic. Very nice, happy to see this released. I would like to however say could you add the option to remove the [TX] before things so I'm not constantly reminded I have a mod installed so I can lose my self in Thaumaturgy . I'll add it in the next build. If you'd like a "hackier" way to do it with this build, open the mod .jar with a zip program (7zip, winzip, winrar), go to assets\thaumicexploration\lang\ open en_US.lang with notepad, scroll to te.researchPrefix=[TX] and change it to te.researchPrefix= or whatever. 1. The Crucible cannot kill its owner. 2. The Crucible can only kill a person once, this means if your friend dies to a Crucible if he comes back into the radius it wont do damage to him. I think it would be a nice way of doing it. I can't fix an error unless you explain in detail. A crashlog would be nice. Maybe you could create a kind of trap for "bind" them (I think to aggressive monster) and move them more easily. For Think Tank, use more "books" (can be craft, create (ect, the way you want^^) with cure zombie brain, maybe ?) for find research fragments faster.
" You have found a way for optimize your jump. Using aer, this wand allow you to use one more jump each time you use it. This should make your travel easier." The crucible of souls automatically draws nearby mobs closer and slowly kills them, all you have to do is get a monster near it. The think tank uses books, yes, to find research fragments. That wand could be interesting, but the boots of the traveler already allow for larger jumps. After a bit of screwing around (This may contain spoilers) the Amber Wand doesn't seem to recharge past 1. 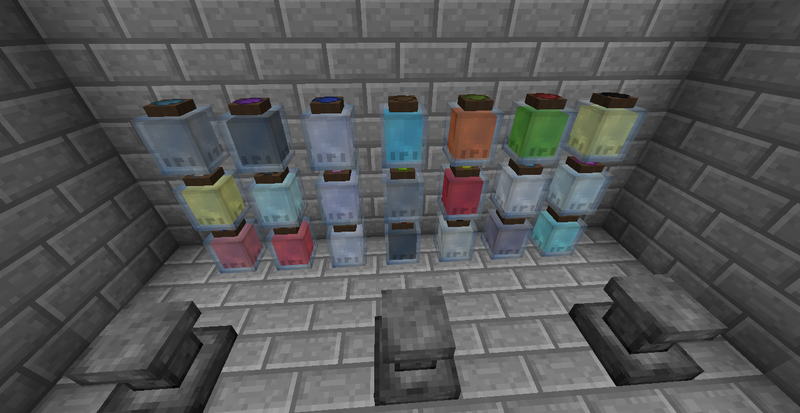 It also seems that the Everfull Urn has rendering issues in the inventory at seemingly random times. Other than that I have not seen any problems yet. He wants to beable to jump in the air. Ah, must have messed up the Amber wand regen amount, thanks for the info! The everfull urn issue shouldn't happen and I'm not sure why it would, but I can look into it. The Mask of Cruelty I added yesterday but is not done, the totems might work though the flower Azanor made acts as a totem of dawn at the moment. Boots of the Meteor are a possibility as is dawnstone. Thanks, both of you. Expect more content soon! I'm not sure what block is doing it but when I was testing within the area of the new blocks added by your mod i could not place blocks they would be removed. If a block was removed I couldn't put it back down either so it seems that something is stopping block placement. Im suspicious of the Crucible of Souls at this moment. That's very, very odd... When did this occur? After save/load? I can't seem to replicate the issue. Can you? Does this play well with Thaumic Tinkerer? I'm looking for some decent mods for a personal modlist and saw this one as another possibility to add to that list. Ill record it for you and give you my game log. 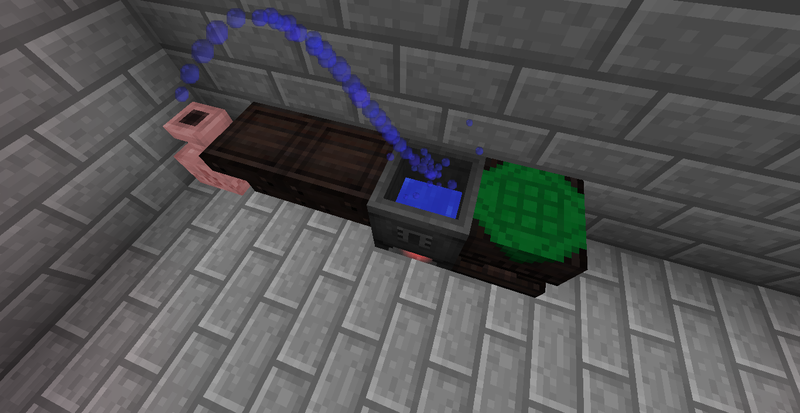 Edit: Btw a Suggestion, The everfull urn as of currently produces far less than a Buildcraft Pump in an Infinite Water setup making the everfull urn only useful as a replacement for the Decanting Golem. I think you should buff the urn.